Other vinyl releases include Hot Tuna's Steady As She Goes, Jonsi with Go Out (EP), Paperhead with Focus On The Looking Glass and Pat Metheny's What's It All About; to name a few. 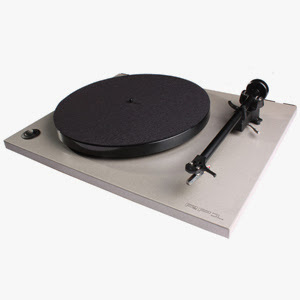 Help support the CVR Blog and buy your vinyl records at SoundStageDirect.com, use the code CVR and get 5% off your order! Last weekend, I flipped to the music section of Entertainment Weekly and suddenly felt a lot closer to Amy Poehler. The comedic genius was featured in the "My First Album" item. Her pick, Signals by Rush, put me in the DeLorean and sent me right back to 1982, listening to Subdivisions, the album's cool song about not being cool (remember, "Be cool or be cast out!"). The shared junior high school pop culture already sucked me in, and then Poehler threw in something I really identified with: "The Grease double-album may have been earlier ..."
still love this album cover art! Brazilian/American thrashers SEPULTURA released their new album, "Kairos" (an ancient Greek word signifying a time in between, a moment of undetermined period of time in which something special happens) in Europe on June 24 via Nuclear Blast Records. 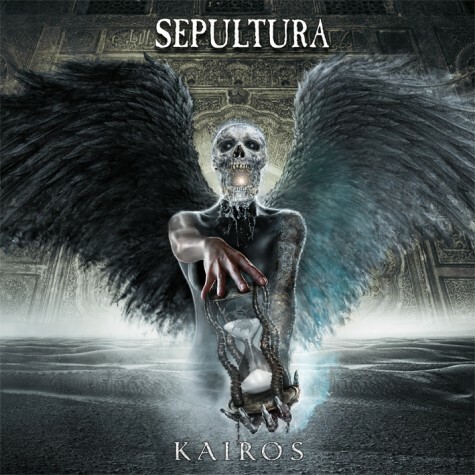 The artwork for the CD, which will be made available in North America on July 12, was created by Erich Sayers, a Los Angeles-based freelance digital artist and photographer whom SEPULTURA first met at the band's concert at the House Of Blues in West Hollywood, California. Last Thursday, Stephen Colbert debuted his new Jack White-produced single, "Charlene II (I'm Over You)", on his comedy show "The Colbert Report". Colbert has been featuring White all week long in his "rock odyssey" series, titled "Dr. Pepper Presents StePhest ColbChella '011 – Rock You Like A Thirst-Icane". In addition to producing the track, White is releasing "Charlene II (I'm Over You)" on his Nashville-based label, Third Man Records. The Black Belles, an all-female goth band on Third Man, served as Colbert's backing band. The White-Colbert collaboration will soon be available both on iTunes and directly from Third Man. 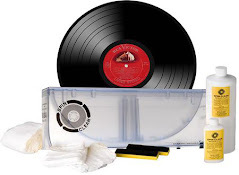 White's label also is producing vinyl copies of the single, including a limited edition red-white-and-blue version in which the vinyl bears the colors of the American flag. Weezer, Paramore's Hayley Williams and Evanescence singer Amy Lee have all contributed tracks to a new compilation which sees artists covering songs from The Muppets. 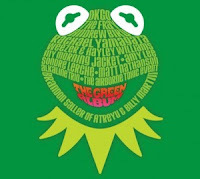 The album, which is titled 'The Green Album', will be released in the US on August 23 and precedes the release of the new Muppets movie The Muppets, which is set to come out in February next year in the UK. 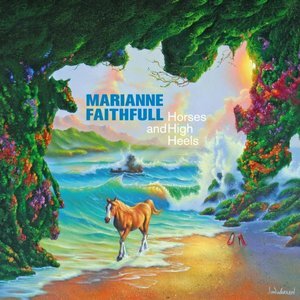 Marianne Faithfull’s new album begins with a particularly well-chosen cover. She kicks off Horses and High Heels with the ominous chords and spiritual misgivings of “The Stations,” by the Gutter Twins (better known as Greg Dulli and Mark Lanegan). With its ominous pace and prickly guitars, it’s a perfect showcase for Faithfull’s distinctive voice, a gravelly instrument that locates new trials and transgressions in these lyrics. “Oh mama, ain’t no time to fall to pieces,” she sings in that beautifully scarred rasp, as though steeling herself against sins too dark for salvation. Prince is running late, and when Prince is running late the prospective interviewer begins to worry. I'm in the otherwise empty upstairs room of a chic Paris restaurant, its walls, carpet and banquettes all (perhaps by chance) a Prince-appropriate purple. As last trains and planes out of Paris are missed, I think of the writer in the early 90s who spent six days rattling around Paisley Park, Prince's Minneapolis nerve centre, waiting for an audience, only to have to speak to him on the phone. Even a relatively modest three-hour wait can make one nervous. But suddenly there he is, sans entourage, full of handshakes and apologies. 5. Katy Perry feat. Kanye West :E.T. In 1949, the immortal Christmas tune "Rudolph the Red Nosed Reindeer" was recorded by Gene Autrey. Jan & Dean's "Little Old Lady From Pasadena" was released in 1964. Also in 1964, Peter and Gordon's "World Without Love" reached number one on the Billboard Hot 100 chart. Paul McCartney wrote the song, but it was not credited to him on the disc, to see if a McCartney tune would be successful even if no one knew he had written it. At the time he composed "World Without Love", McCartney was courting Jane Asher, the sister of the duo's Peter Asher. In 1967, Mick Jagger was found guilty of illegal possession of two drugs found in his jacket at a party given by Keith Richards. Jagger (prisoner #7856) was held overnight at Lewes jail in England. He requested books on Tibet and modern art plus two packs of Benson & Hedges cigarettes. 1968, Elvis Presley appeared on an NBC TV show that was billed as his "comeback special". The show featured a black leather-clad Presley performing on a small, square stage, surrounded by mainly women. In 1968, Elvis Presley appeared on an NBC TV show that was billed as his "comeback special". The show featured the king performing on a small, square stage, surrounded by a mostly female audience. Presley was outfitted in black leather and belted out many of his early recordings, including "That's All Right Mama", "Lawdy Miss Clawdy" and "Blue Suede Shoes". The highlight of the show was his final number of the evening, which featured Elvis, alone on the stage, dressed in a white suit, singing "If I Can Dream". In 1969, the Denver Pop Festival was marred when violence broke out and police came in with clubs and tear gas. Bill Graham closed the Fillmore East in 1970. The final concert featured the Allman Brothers, the Beach Boys and Mountain. Also in 1970 - The Trans-Continental Pop Festival (aka Festival Express) began with Janis Joplin, the Grateful Dead, the Band, the Flying Burrito Brothers and the Buddy Guy Blues Band traveling between cities in Canada by train. Freddie Mercury made his live debut with the group Smile (soon to be Queen) in Cornwall, England in 1970. In 1975, ZZ Top earn their second Gold record for their fourth album, "Fandango" which includes the Top 20 hit, "Tush". In 1976, John Lennon finally became an American citizen when he receives his green card. In 1987, Whitney Houston becomes the first female artist to debut at #1 on the Billboard Hot 200 album chart when her self-titled CD reaches the top. At the same time, her single "I Wanna Dance With Somebody" leads the Hot 100 singles list. MCA Records bought Motown Records for $61 million in 1988. 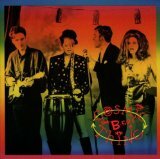 Cosmic Thing by the B-52's was released in 1989. In 1989, The Who perform the Rock opera "Tommy" in its entirety for the first time in 17 years at New York's Radio City Music Hall. The show raised money for a children's charity as well as the Rock and Roll Hall Of Fame. In 2002, one day before the first show of the Who’s 2002 U.S. tour, 57-year old bassist John Entwistle died in his hotel room at the Hard Rock Hotel and Casino in Las Vegas. The Las Vegas medical examiner determined the cause of death to be a heart attack induced by an undetermined amount of cocaine. In 2009, Fayette Pinkney, an original member of The Three Degrees who lent her voice to the 1970s hits "TSOP (The Sound Of Philadelphia)" and "When Will I See You Again? ", died of acute respiratory failure at the age of 61.